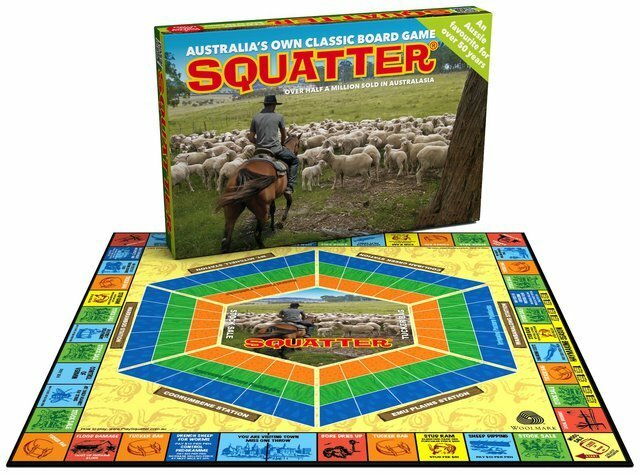 Squatter is a fun board game about Australian sheep farming, for 2 to 6 players. This highly entertaining game is suitable for adults and children from about 10. Squatter is a simulation game based on real life farming and is a mix of luck and strategy. Farmers face many disasters such as drought, bushfire and floods. Nevertheless, prudent farmers develop a good strategy to protect their farming business and take such precautions as providing adequate fire fighting equipment and sufficient hay. Squatter is ideal family entertainment because up to 6 people can play with a wide range of ages (from 10 years). Much more than fabulous fun, a game of Squatter is highly educational for all ages. 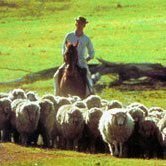 Learn about sheep farming, the wool industry, business management and much more. Chat and laugh with your friends and family while you discover the challenge of battling the weather and fluctuating stock prices, pulpy kidney, liver fluke and red legged earth mite. SQUATTER is available from selected stockists across Australia or directly from this website.